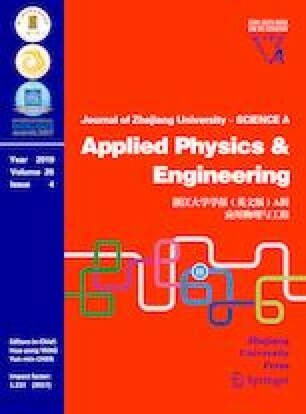 In this paper, a condition-based scheduled maintenance model with aperiodic inspections of structures is developed. The structures are experiencing both a gradual degradation process and a random shock process. The former is characterized by a stationary gamma process (SGP), and the latter is assumed to be a homogeneous Poisson process (HPP). Two typical common failure modes are considered in the reliability and the condition-based maintenance model, namely: (1) soft failures caused by the continuous degradation process, together with sudden damage increments due to shocks with moderate impacts, and (2) hard failures caused by the same shock process when a severe shock occurs. A remaining useful lifetime-based (RUL-based) inspection policy is utilized to determine the inspection schedule. Thereafter, at each inspection point, different maintenance actions are to be determined to minimize the average cost rate for either an infinite or a finite time span. The developed models are demonstrated by a numerical example. Sensitivity analyses of the optimal solution with various model parameters are also performed. It is illustrated that, as compared with the pure continuous degradation process, the additional shock loads exert notable impacts on the optimal maintenance strategies.